Setting standards in your restaurant is a must. You play a very important role in your restaurant, a role no one else can play. That’s the role of owner. And as an owner, right or wrong, your management team and line employees MUST follow your standards and you have to follow up to make sure they are being followed. How do you set the standards and make sure they are being met? How do you ensure the process is working? How do you do all that without running shifts and micromanaging your management team? Easy! With systems, follow up and a willingness to hold your management team accountable. 1) Document your standards. Whether it is plate presentation, cleanliness, customer service or anything else that goes on in your restaurant, YOU MUST document your standards. You have to clearly communicate what those standards are. You can’t expect your management team to read your mind. That won’t work. So walk your restaurant and write down everything that drives you nuts when it’s not done to your standards. You can even go so far as to use photos to clearly communicate your expectation, such as with plate presentation or table setting. Work all of your standards into every checklist in your building, from management checklists, front-of-house and back-of-house checklists and all position training materials. 2) Implement and train systems. Print off the “Four Phase Plan to Greater Restaurant Profits” from members.TheRestaurantExpert.com. Start going through and identifying those systems you have in place and those you want to put into place. Put together a training program and/or system for you to remember to follow up and check that your standards are being trained and executed. 3) Follow up. This and the next step are the two most important steps. Even if you document. Even if you train. Even if you are there every day. If you don’t follow up to see that everyone is doing the job to your standards, you’ve gained nothing but a lot of worthless paperwork. 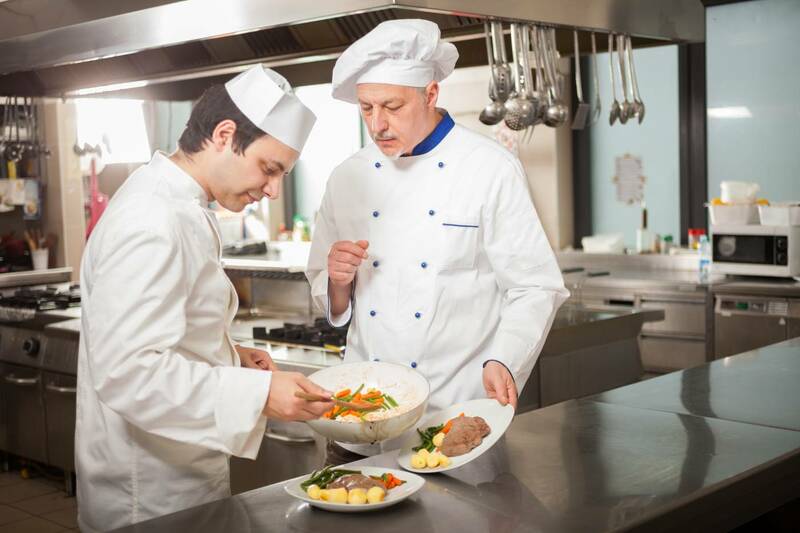 Checking to see that your management team and line employees are doing things the way you want them done for every aspect of the business is critical to your restaurant’s success. 4) Hold management accountable. For some strange reason, restaurant owners can easily hold a line employee accountable. If a line employee screws up, they, for the most part, find it easy to write them up and possibly fire them because they are not performing to the owner’s expectations and standards. But when a manager screws up, they are given chance after chance after chance and often nothing more than a heart to heart conversation ever takes place. NO! This is not right. They should be written up just like anyone else in your organization. In fact, I might say even more so than line employees. Your management team is supposed to run the operation the same way you would when you are not there. They are the leaders and if they set bad examples, your line employees will lower their performance standards to meet what you allow from management. Instead, if a manager does not meet expectations and needs to be written up, do so. You will find out very quickly if that manager wants their job or not. If they do, they will probably never be written up ever again. If they don’t, they will either quit quickly or get written up again soon thereafter hoping you will fire them. Either way, you will know pretty quickly and will have set the tone that you are serious about your standards being met. These are the four steps you need to follow to set the standards – and make sure they’re being met – in your restaurant. Contact us today to learn how to bring these steps to life in your restaurant. We have coaches and tools that will make it work for you. If you want to learn more about leading in your restaurant and setting standards in your restaurant, read our free special report, Breaking Away from the Insanity: How to easily take control of your restaurant and make more money. Download it here. Be sure to visit our YouTube channel for more helpful restaurant business management video tips.